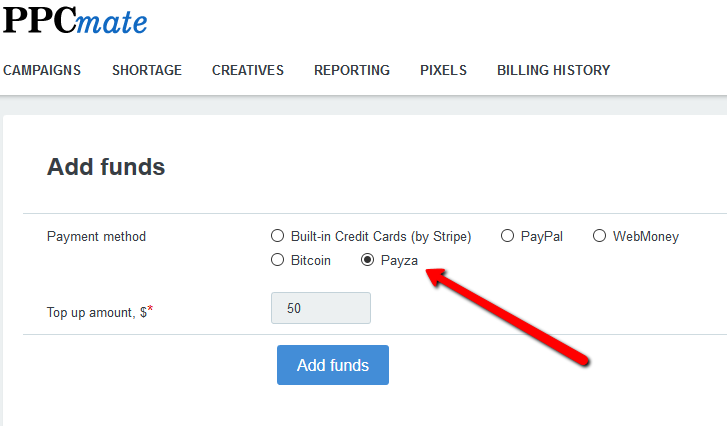 We have partnered with Payza! Now you can top-up your advertising balance with Payza payment gateway. Payza is the leading global online payment platform that specializes in e-commerce processing, corporate disbursements, and remittances for individuals and businesses around the world. The e-wallet platform provides Payza members worldwide with convenient and flexible loading and withdrawal options, such as localized bank transfers, global bank wires, credit/debit card, checks, prepaid cards, among others. With over 13 million members, Payza offers its services in 190 countries and in 25 different currencies. Payza is proud to provide its merchants around the globe a complete solution for accepting payments and managing their businesses. In addition, Payza offers foreign exchange services, fraud screening services, email invoicing, mass and single remittances and business management tools. Payza also provides under-serviced and emerging markets with an affordable and convenient way to receive international payments, thereby bolstering local economies in a global marketplace. For any additional information please contact us at sales@ppcmate.com.